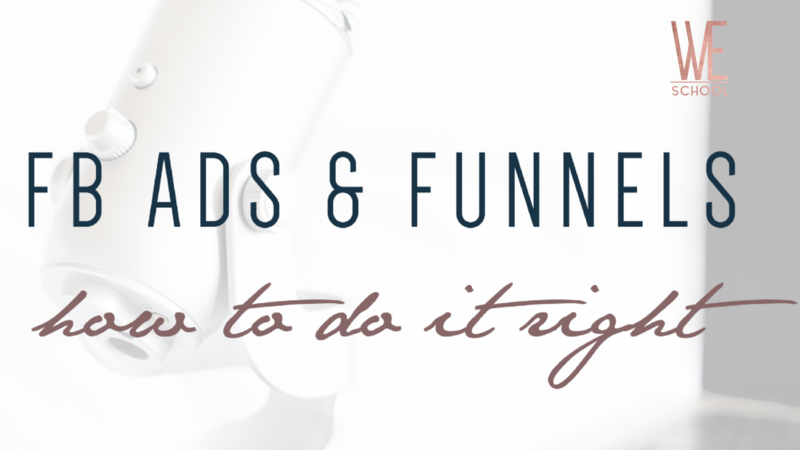 WHAT’S THE BLACKLASH AGAINST FB ADS AND FUNNELS ALL ABOUT? It’s the latest in a series of trends of people trying to sell you a bunch of snake oil disguised as something new. I’m calling it “hate marketing” – capturing a consumer’s attention based on something that they hate/dislike and feeding off of that hate like a vampire. The biggest backlash right now in Facebook land seems to be against funnels and Facebook ads. I’m sure that you’ve seen this before. Because these types of posts are so popular. They’re also complete BS. FB ads do work, funnels aren’t complicated and they can be really personal if you actually know what you’re doing, and there is no right or wrong answer about whether paid or organic traffic is going to be better for your business, unless you’re building a clone of someone’s business. Which they would sue you for anyways. Here’s what you actually need to know about Facebook ads and funnels. WHY DOES EVERYONE THINK FUNNELS ARE COMPLICATED? 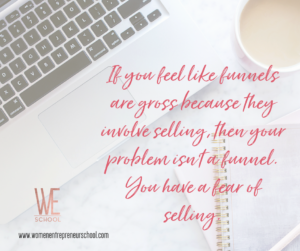 Funnels only seem complicated because people want to sell you their 80k system for funnels and in order to do that they have to make you think that you can’t possibly put together a funnel on your own. A funnel is a series of e-mails that gets your ideal client familiar with you so that you establish a good rapport and eventually sell your products to them. 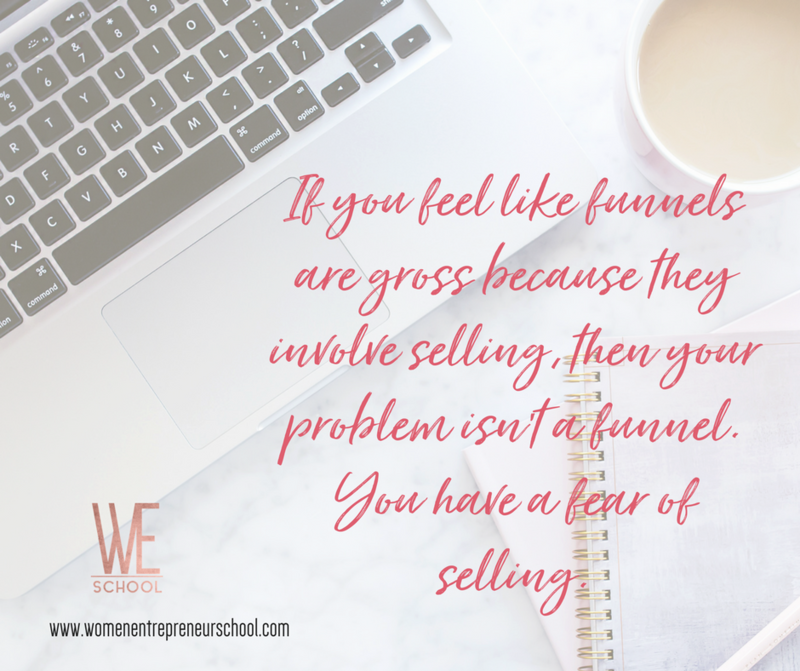 If you feel like funnels are gross because they involved selling, then your problem isn’t a funnel. You have a fear of selling. So yes, a funnel is going to make you feel really uncomfortable because it’s designed to sell. But that’s not all it’s designed to do. 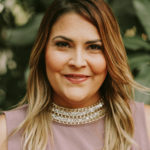 It’s impossible to reach out to everyone and personally chat with all the people who are interested in your business, so a funnel helps to do some of the introduction work for you. It’s a chance for more people to get to know you and for you to be able to serve them without having to get on the phone. If someone replies to an e-mail with a question… answer it. That is providing value. Phone calls are not the only way to provide valuable and meaningful service to people. HOW CAN FACEBOOK ADS HELP YOU GET TRAFFIC TO A FUNNEL? There’s a reason why the largest names in every single industry use Facebook ads… they work. Unless you run a gigantic 10k+ Facebook community or your blog post happens to go viral, building up your e-mail list is going to take a long, long time. Do you really have unlimited amounts of time to wait for your business to grow? If you said no to that question, then Facebook ads can help you to get traffic to your funnel faster. Yes, you’re paying for traffic, but everyone pays for their leads, if not in money, than in time. Facebook ads are not a shortcut and unlike what everybody says, you don’t have to spend a ton of money to get qualified leads. Our ads convert between 1$ and 2$ to a COLD audience (who don’t know us at all) and then as low as 30 cents to warm leads (we’ll show you below)! Even if – worst case scenario – you’re spending 10$ a conversion, only 5 people put their e-mails in, but your product costs 3000$ and you sell one of them, are you telling me that it’s not worth it for you to spend 50$ to make a 2940$ profit? It’s great that someone didn’t have to pay for traffic until they were two years into their business or five years in. But the world of digital marketing changes so quickly that the internet from two years ago looks completely different to the internet today. Two years ago, there were no Instagram Stories, no Facebook live, the Facebook algorithm was completely different, Youtube didn’t have the subscriber bell, etc. So two years ago, whatever market the person who is bragging about how long they went without paid traffic existed in a lot less noise and clutter. If they had used Facebook ads, their business also would have grown a lot faster than what it did, probably. So no, Facebook ads are in no way mandatory to growing your business, but they are helpful. 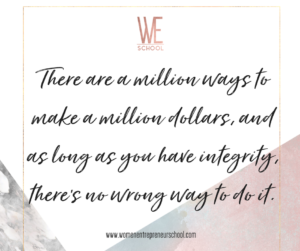 And remember, it’s easy to preach about what you should and shouldn’t do when you’ve already hit success and you know that you’ll have people flowing into your bank account. 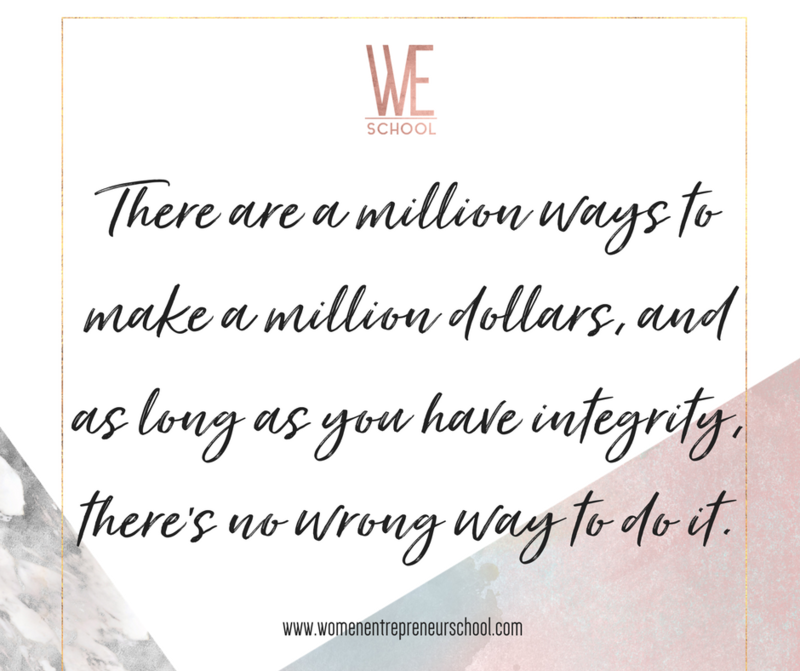 There are a million ways to make a million dollars, and as long as you have integrity, there’s no wrong way to do it. A tripwire is a low cost product (usually 7$-47$) that you can provide consumers with after they opt-in to your content on the thank you page. This small offer initiates the buying process and creates trust, because it’s a lot easier to get someone to try a 7$ product than it is a 7000$ product. In most cases, it’s a one-time offer that they don’t see again. A retargeting ad is an ad that you run to warm leads who have already opt-ed in to your freebie to purchase a product or service. 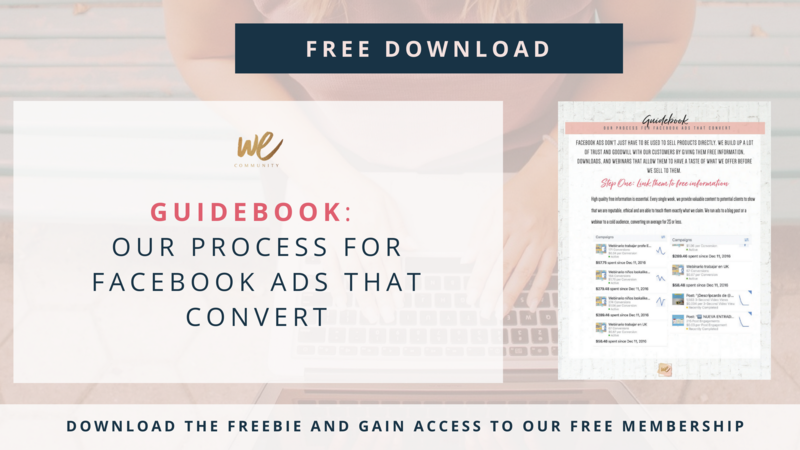 To see our ads process of turning someone from a cold lead to warm lead and paying customer using Facebook ads, opt-in to your FB ads guidebook. The guide shows you the complete process that we take to nurture a great relationship with our customers so that they feel spoiled and well taken care of BEFORE they see an offer to buy from us in a funnel or a FB ad.